Higher revenue across the board and controlled expenses led Norwegian Cruise Line Holdings to beat guidance on fourth quarter 2017 earnings. Total revenue for the year rose from $4.9 billion in 2016 to $5.4 billion in 2017. Net income for Q4 increased from $72 million in 2016 to $99 million in 2017, while net income for the full year went from $633 million to $759 million. The gains came on the ships, where ticket revenue was up as was onboard spending. In Q4, ticket revenue rose from $172.71 (gross) per passenger day to $177.16, while onboard spending was up too, going from $83.47 (gross) to $88.50 per passenger day in the quarter. On the company’s Thursday earnings call, President and CEO Frank del Rio said the ongoing increase in net ticket revenue would lead to a positive impact in onboard revenue, as the more a guest spends on their cruise ticket, the more they will spend onboard. Del Rio talked bullishly about a strong booking environment and strong global economy. He said the company had record high booked load factors and pricing for 2018. “Initial indications are this fertile booking environment has a long tail,” del Rio said, noting strong performance on 2019 bookings as well. Del Rio noted the company is also seeing a booking window that is continuing to extend, and is now another five weeks earlier year-over-year. 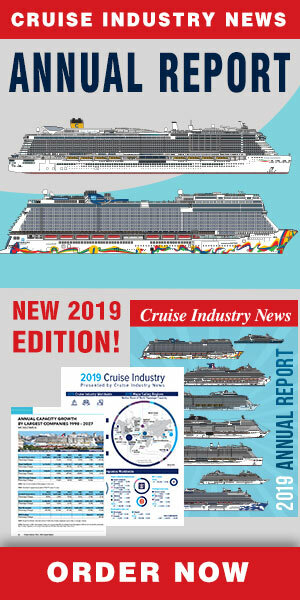 The company has also moved its payment window for cruise guests to 120 days out, helping to accelerate paying travel agent commissions earlier. On the expense side, onboard expenses were relatively flat in Q4 while fuel and payroll were notably up, while food was flat. Year-over-year, Norwegian spent less on food, while carrying more passengers, which has been attributed to a better purchasing strategy. In other comments, del Rio said European pricing had recovered, Cuba sailings were seeing high per diems, and despite a difficult operating environment in China, the company’s operation there was profitable.